Vegan Ugly Sneakers: The best chunky 90s dad trainers from vegan brands. When I say vegan ugly sneakers, I don’t mean ugly in the way people used to think of vegan fashion. 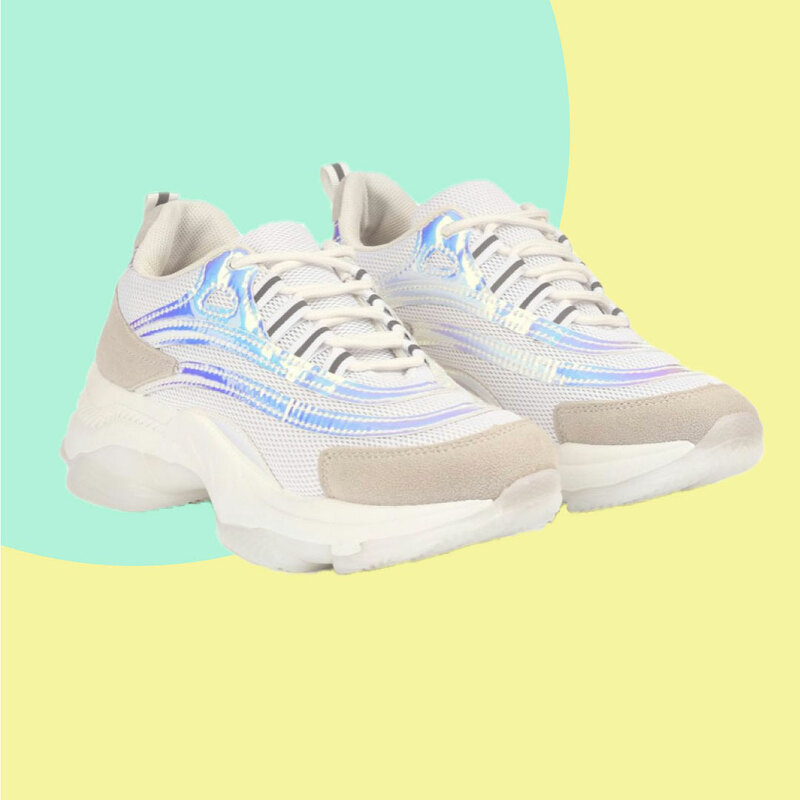 I’m referring to those chunky, Seinfeld-meets-Transformers ’90s dad sneakers that broke into the mainstream with Balenciaga’s 2018 S/S collection and have been embraced by celebrities like Kendall Jenner. While some people scoff at ugly dad sneakers, I’m relieved that for once there’s a trend that includes women that actually offers cushion and support! 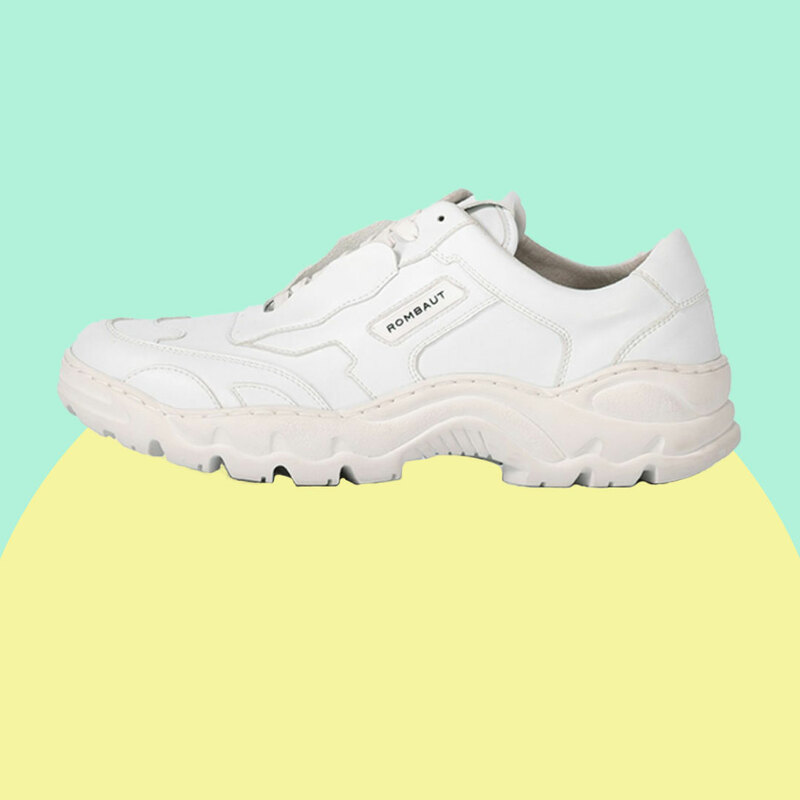 Vegan brands have come up with some pretty cool takes on the chunky dad sneak. Here’s a round-up of vegan ugly sneakers from explicitly vegan companies. I’ve included Stella McCartney’s Eclipse sneakers at the end of the list even though it’s a vegetarian brand. Their shoes are vegan and they definitely fit the dad sneaker bill. 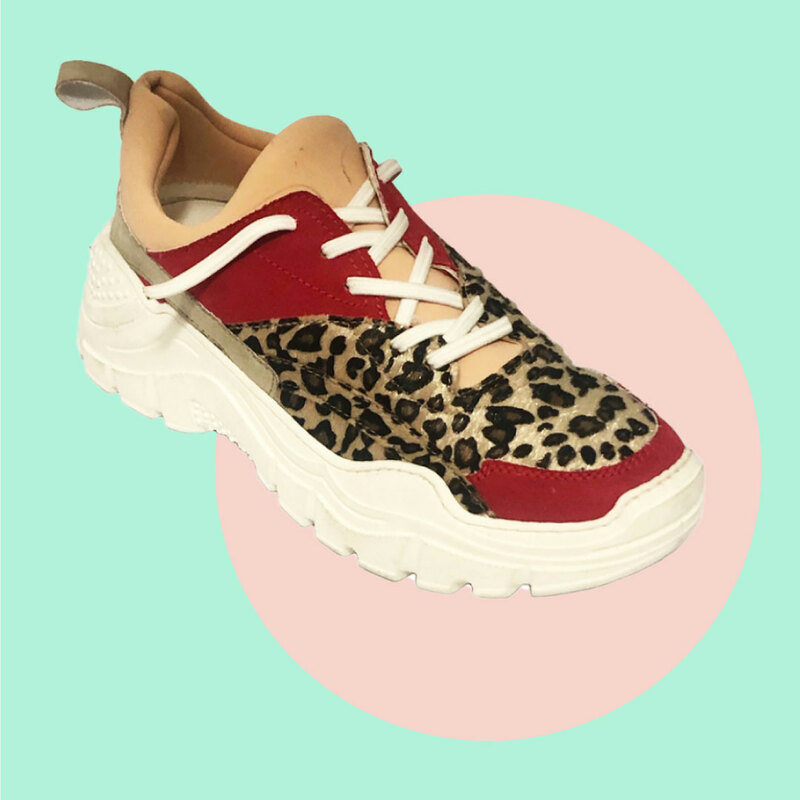 Da Quy’s Hiddenite sneaker comes in pink, silver, or leopard, and is made with “eco-friendly fabric” and a natural rubber sole. Da Quy is a woman-owned and designed brand. The designs are conceived and made in Italy and are certified by the Vegan Society of Birmingham. The Parisian brand Rombaut has garnered a lot of attention as a favorite of Bella Hadid. Their spring collection introduces the Boccaccio sneaker in more colors and fabrics including tie dyed cotton and piñatex. The company pushes the ugly envelope to its limits with over-the-top ugly sneaker accessories like spats and Western boot attachments. UK-based Vegetarian Shoes has been making shoes since 1990. Despite the name, they’re actually a vegan brand. I’ve been wearing the same pair of their Airseal Chelsea Boot almost every day for the last few years and the logo attracts complements and questions. Their Zero Zero One Sneaker offers a subtler nod to the chunky trainer trend – more Seinfeld, less Memphis Milano. I love how their bold logo peaks through on the tongue. 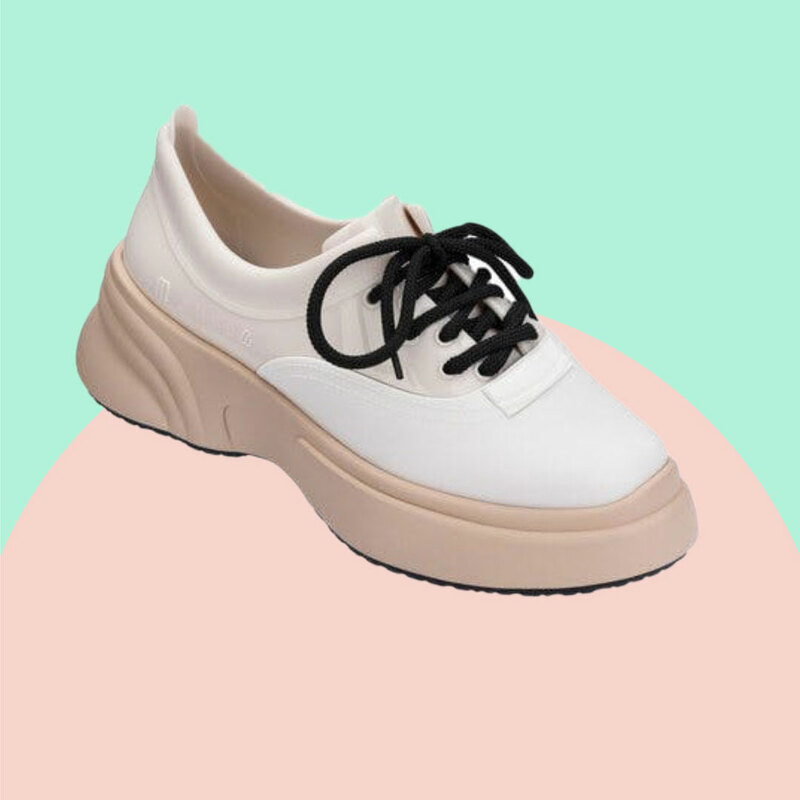 Koi Footwear makes affordable versions of the latest runway trends and even has an entire category of “90s Dad Trainers.” While I’m not a fan of fast fashion – their prices range from £10 – £50 – I am a fan of their explicitly vegan stance. Their website says “100% vegan” right under the logo on the front page, and they have further statements about compassion toward animals. Anytime a company normalizes the word “vegan” as well as the idea of including animals in our moral sphere, I believe it helps. 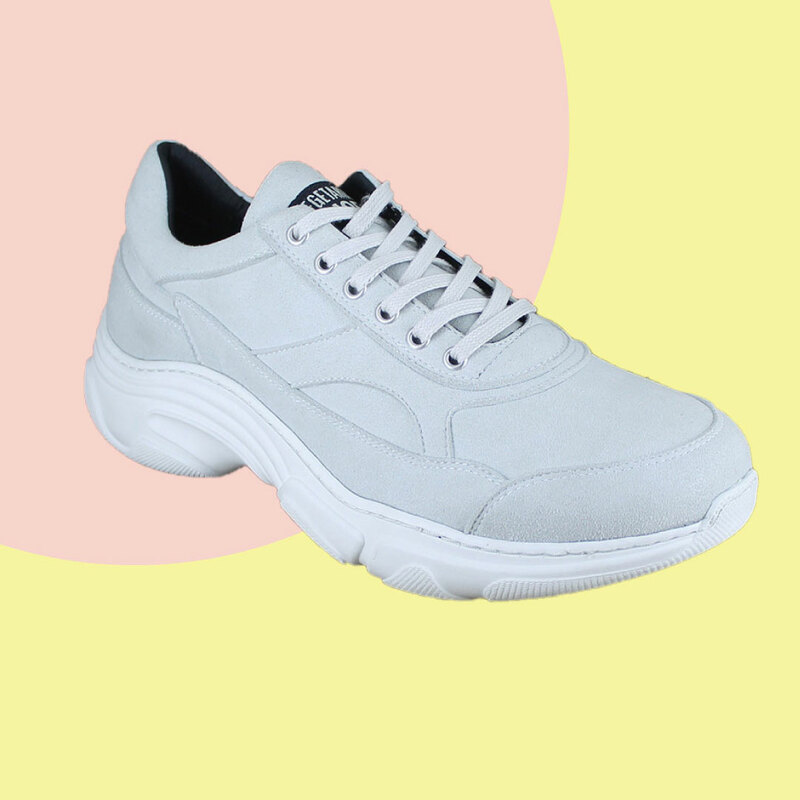 https://www.instagram.com/p/Bvj67Ppgo81/Koi Footwear has also clearly been questioned on their manufacturing practices because they now have a website dedicate to their ethics. Brazilian shoe brand Melissa is known for reimagining every type of shoe in shiny plastic. They’ve actually named this model “ugly sneaker” and it comes in white and two other jarring color combos. 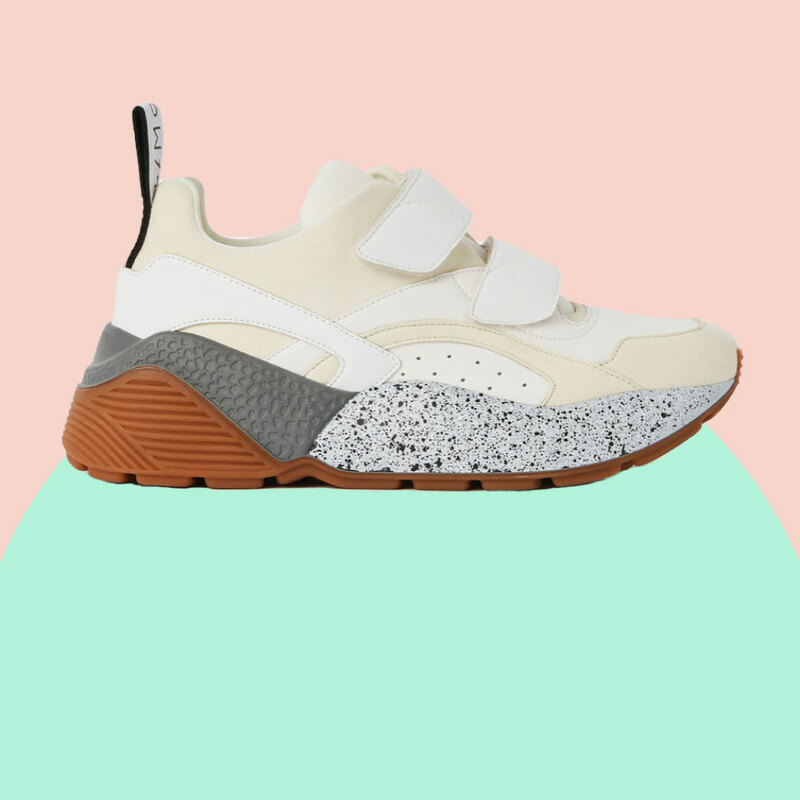 Stella McCartney’s chunky Eclypse sneakers come in a myriad of fun colorways. I hate tying shoes, and if I could afford the $600 price tag, I would be all over the velcro only version.